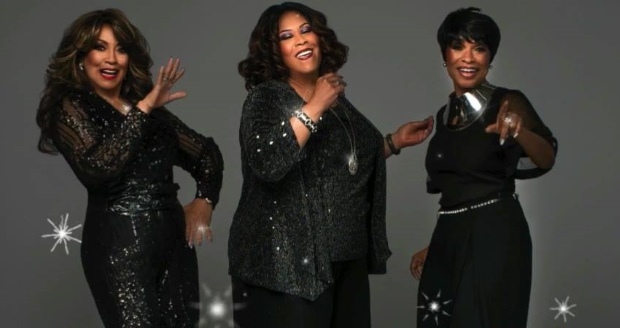 First Listen: Martha Wash, Linda Clifford and Norma Jean Wright can't be "Stopped"
(April 10, 2019) With a slightly rotated lineup, the supergroup First Ladies of Disco follows up 2015’s “Show Some Love” with a decidedly anthemic pop number entitled “Don’t Stop Me Now.” Leading off the first verse, Martha Wash (of Weather Girls, C+C Music Factory, and Black Box fame) compellingly asserts conviction to weather life’s most puzzling and trying moments, while Norma Jean Wright (Chic, State of Art) adds insightful conviction venturing into the song’s memorable chorus. Legendary soul songstress Linda Clifford, who started her recording career as a protege of Curtis Mayfield and went on to massive international success as a solo disco artist, picks up the second verse with distinctive gusto as the Ladies join forces for the energizing chorus. Although the tune is as far removed from ‘disco’ as possible, it’s a testament to the gals’ enduring and powerful abiities as gifted interpreters of meaningful, melodic song. Take a First Listen to “Don’t Stop Me Now” below and let us know what you think! First Ladies of Disco - "Don't Stop Me Now"